Posted on January 29, 2019 . 4 Comments. Regardless of their sport, high-level athletes have an astonishing ‘gift’ of making the most complex moves look easy. How? With years of practice. Learning how to balance and coordinate internal forces to deliver, or access, the power, strength, agility, and quickness they need at the exact right moment for ultimate performance. And that comes from managing ‘space.’ Here’s how you can boost your strength efficiency too. Kalos Sthenos—Beautiful Strength is how Gray titled our get-up DVD and manual, and that is how I think of strength. That it is beautiful or can be so. Think of a high-level athlete. The sport doesn’t matter—gymnastics, Olympic lifting, tennis, etc. One thing is commonly said about how they perform—“they make it look easy.” And I would add that it looks good/beautiful. How do they make it look easy? High-level athletes do two things very well when they move. “Alignment with integrity under load” is how Gray Cook described postural control. It incorporates both mobility and motor control of efficient movement. The get-up is one of the best examples of this and one of the best ways to build it. 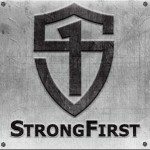 “Steering strength” is how Dr. Stu McGill describes “moving” force through the body to accomplish a task. The squat is a perfect example of this and a great way to build the skill. Even standing up out of a chair requires you to “steer” your strength into the ground. I believe the foundation to “alignment with integrity under load” and “steering strength” is knowing how and when to create space and when to take it away. And this is the secret to making “it” look easy. Creating space is the act of self “distraction” and using your strength to spread the load. Just as high-tension cables are critical for stability and strength in different structures, creating space is “tensioning” the frame of the body. A key to this is efficiently coordinating the agonists (prime movers) and antagonists. Taking space away is the act of self “compression.” A constraining of the variables within the joint(s) and movement to steer strength efficiently through the body. Again, efficient coordination of agonists (prime movers) and antagonists is vital. How do we efficiently coordinate? Next, we make sure the feeling is there. I tell students all the time: if they can feel it, we can fix it when building skill. So the proprioceptive sense of the goal action is key to successful pattering. Feel it so you can do it. Have you ever had the feeling that you were getting in your own way? Not in life (although that may be true) but rather in your squat? 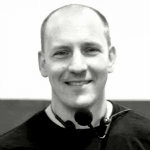 The reason is likely that you are not creating space—you actually “run into yourself.” We could go down the line of anatomical reasons and actions that result from running into yourself (for example the hip “impinging” by not having the hip flexors pull the hip synovium out of the way but I digress). But this is not necessary to successfully actioning space. Begin at the top of your squat (goblet, kb, barbell, etc…) in your established stance. As you initiate your squat, visualize an elastic band looped under your shoulders from above and straps holding your feet to the ground. To squat, you will need to pull yourself down. (“Beat the band” or “don’t let the band win and pull yourself down into the hole…”) If you quit pulling, the band will snap you up to the ceiling—not good. While doing that, visualize and feel your legs getting “pulled out longer” or that your legs are “growing” and that although descending into a squat, you are getting taller. Create space through the hips and the spine. You could add any number of auditory cues (the sound of a spring being “stretched”) or visual cues (drawing a bow). “A house divided cannot stand.” And an arm disconnected from the body will be punished so taking space away allows for force to move through efficiently. 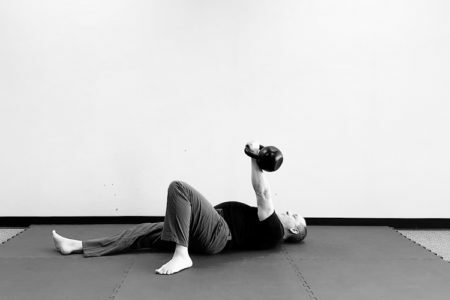 In the arm holding the kettlebell specifically, taking space away means connecting the shoulder to the body. At any step of the get-up, actively reach away with the arm like reaching for the remote when you don’t want to move from your favorite chair. Or like a telescope extending and then pull the arm back to solidly connect the shoulder to the body. You could use an elastic band here as well—“load” the reach away and pull to connect. Constrain the variables and steer the force where you want it to go through that connected shoulder. Again, auditory cues can be used like the sound of a suction cup as the arm is pulled in to connect to the body. The concepts of creating space and taking space away don’t end here. They can be applied to almost every movement and exercise, and, at their highest levels, performed at the same time. 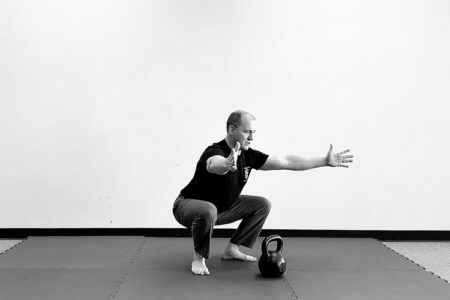 In the finish of a swing, for example, you are compressed (taking space away through the midsection) yet tall (creating space to allow a full expression of the energy of the hips to reach the kettlebell). A true duality. An offset of knowing when and how to perform these two actions either independently or together is kalos sthenos. Thank you for this. I would even add that a step-by-step joint-by-joint description at various steps of the swing, get-up, squat etc. would probably make an invaluable series of articles, if not a book… Even if the idea behind seems simple. thank you and a very interesting idea for us/me to investigate. I remember well meeting you in MSP in 2004 and all of our other opportunities to touch base over the years. Thank you for all you have done for the industry and for the concept of “steering strength”. I have known Brett for a couple of decades. Years ago I admired his feats of strength for making it look easy – cleverly steering strength from his center to his hands, for example, bending red nails. I continue to enjoy his savvy coaching style – a true gentleman of strength.